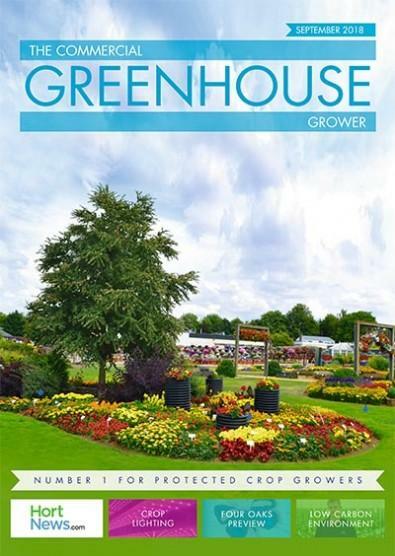 A subscription to The Commercial Greenhouse Grower covers both salad and ornamental crops reports from leading nurseries and growing businesses in the U.K. and in Europe, often featuring the latest cultural techniques. The Commercial Greenhouse Grower was first launched in 1994 filling a void as a title specific to the multi- million pound U.K. commercial glasshouse sector. Its in-depth articles coupled with its unrivalled coverage have helped to establish it as the leading magazine for this sector of Horticulture. The Commercial Greenhouse Grower is produced in full colour, and its clear easy to read format helps growers to keep ahead of the latest varieties, products and cultural practises. Round-ups of what is happening in the U.K. and abroad, including information on new products and services. Expert insight into the most promising new flower and salad crop varieties from trials in the U.K. and abroad. Written by industry experts to provide readers with the latest technical information, these features cover every aspect of growing from planting to harvesting. A look at the latest new machinery for protected crop growers, from both the U.K. and abroad. Reports from leading nurseries and growing businesses in the U.K. and in Europe, often featuring the latest cultural techniques. Offering advice from leading experts on efficient farm management, these features cover areas such as Information Technology , Finance, Law and Marketing. The classified section includes appointments, businesses for sale, products for sale and items needed. Special showcase section for company brochures and catalogues. Take out a subscription to The Commercial Greenhouse Grower and receive a wealth of information direct to your door every month! Be the first person to tell us what you think about The Commercial Greenhouse Grower and you'll save £2.50 on your next purchase!